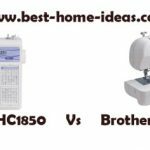 Brother PQ1500S is one of the best straight stitch sewing machine you could get. It is an excellent machine for quilting. It is affordable as well. 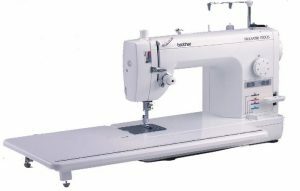 Brother PQ1500S is a high speed quilting and sewing machine for advanced sewers. This sewing machine has an amazing 4.8 Star Rating on Amazon, the highest I ever came across. 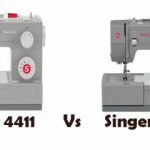 This sewing machine looks very similar to Babylock BLQP-Quilter’s Choice Pro but less expensive. It weighs around 24.2 pounds, so you can’t really say it is lightweight. It is not designed for portability but for performance.The pin feed mechanism provides higher sewing accuracy. It has a knee lifter which is vital for pivoting. 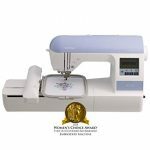 The heavy duty construction of this machine provides increased stability while sewing at higher speeds. It is capable of delivering 1500 stitches/min. Easy needle threading system and automatic thread cutter saves a lot of time. The extension table has a bobbin case opening which lets you replace the bobbin without removing the table. Total bed area of this machine comes to 11 x 23.2 inches with table. It comes with General purpose foot, Rolled hem foot, Adjustable zipper foot, Invisible zipper foot, 1/4″ foot, Spring action quiliting foot and Walking foot. It comes with 25 year limited warranty. Brother PQ1500S is very easy to use. It is the best, affordable straight stitch sewing machine in the market. 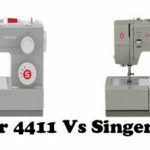 Actually it is the least expensive of all straight stitch sewing machines on sale and yet it doesn’t compromise on quality. It does a wonderful job with thick fabrics like denim.Its color guide adjustment window makes presser foot pressure adjustment an easy job.Brother PQ1500S has a heavy duty construction for increased stability during high speed quilting. The stitches come out perfect and it stitches really fast, trust me. You can control the speed with foot pedal, if you want to go slow. The foot pedal is extremely responsive and is easy to control. The bobbin casing on the side of the machines makes bobbin changing pretty easy. You can access the bobbin area even with the extended tray on. Its operation is pretty quiet compared to other expensive sewing machines. Brother PQ1500S sewing machine comes with small oil holes so that you don’t need to take the machine apart to oil it. It comes with 4 feed dog settings which can be easily changed. Brother could have included a bobbin out indicator as well, never mind. There is no up-down button for the needles, so you are forced to turn the wheel to put the needle down, much like old-fashioned sewing machines. However, it sews perfectly, which more than makes up for the above said limitations. Overall, Brother PQ1500S is a great sewing machine for professional sewers. It quilts like a dream. You will love this machine especially if you work on free motion quilting designs. 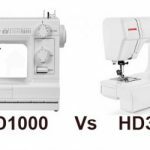 Brother provides excellent technical support for its customers, it is something that you should consider before buying a high end sewing machine like PQ1500S.